An intensive (or crash course) gives you the opportunity to learn to drive in a very short period of time. Not all students will need the same course; some may have already taken lessons with a driving instructor or practiced with a family member, others will be at the start of their learning and should take a longer course. 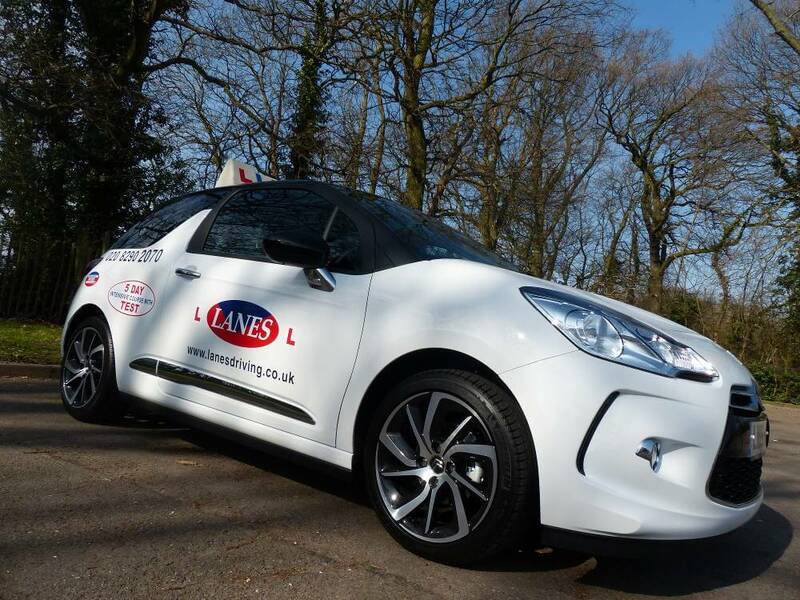 Lanes school of driving course advisors will willingly give advice on the best course for you. In addition to your Test pass guarantee – if you pass your driving test 1st Time we will send you £150 in Lanes gift vouchers. Give to friends, take motorway lessons or invest in the ultimate day new driver course. What is a Guarantee Test Pass Scheme? The course is exactly the same in content except that should you not pass your driving test at the end of your course, we will give you a one day course on the day of your retest at no extra cost to yourself other than the retest fee. This continues until you pass or you have had three extra days’ training, but the whole course must be completed within twelve months of your original course booking date. For someone who was not successful on test and requires a refresher or confidence training. You need to be at or near test standard. For someone with reasonable car control who needs to practice road craft and polish up maneuvers. For somebody who has good car control but needs to learn and practice maneuvers. For a new driver with limited driving experience, possible already had 10 lessons or more. Test pass guarantee scheme – For a new driver with limited driving experience, possible already had 10 lessons or more. For a new driver with less than 10 previous lessons. Test pass guarantee scheme – For a new driver with less than 10 previous lessons. This information is based on an average pupil and therefore should only be used as a guide. If you would like a more information please contact our course advisors. We can arrange an assessment lesson for you. This lesson will last for 100 minutes and cost £55.00. 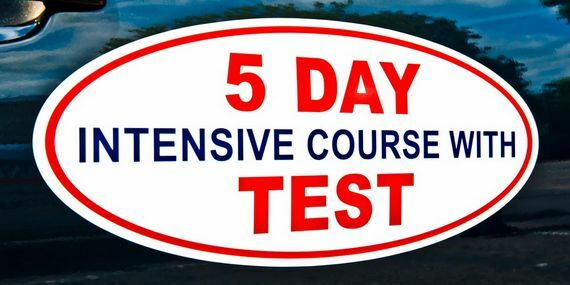 On all our intensive courses we will arrange your practical driving test on the last day of the course. The driving test fee is included in your course fees. For a practical test to be booked with the DVSA you must have passed your theory test within the previous 2 years, have a valid provisional driving license and be able to read a car number plate at 27.5 meters (67feet) . We know that you will be more relaxed if learning without other pupils in the car, and so our courses always provide exclusive individual tuition. Your course can be taken in a manual or automatic car, all of which are new, fully equipped and dual controlled. All prices include the practical driving test fee Courses that include a Saturday will cost an extra £50.00. Courses including Sunday/Bank holidays will cost an extra £75.00. Not yet passed your Theory/Hazard Perception Test – We have the solution! 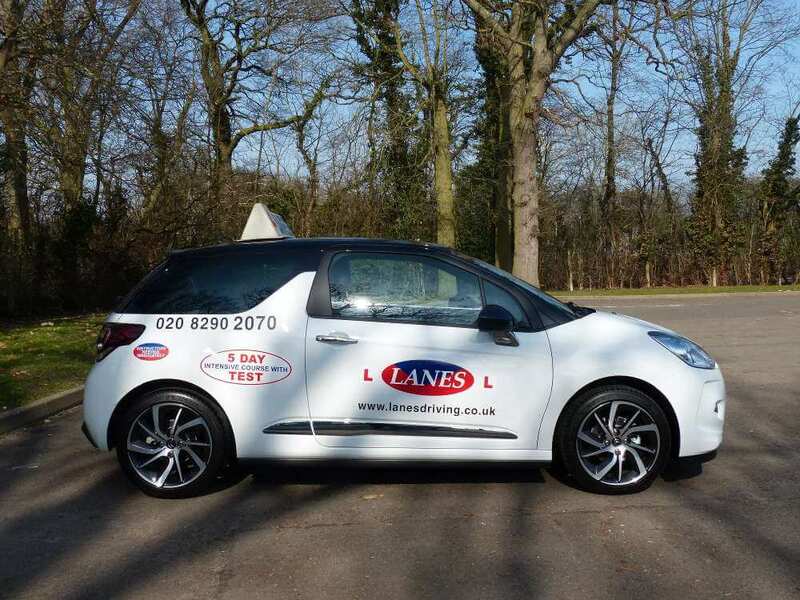 With a Lanes Intensive Driving Course you have the flexibility to build in Theory/Hazard Perception lessons into your intensive course and after you pass your theory test continue with your Intensive driving course. We will then arrange for your Practical Driving Test to be taken on the final day of your course at a test centre near you. We can tailor your course to suit your individual driving needs, just tell us what you want and we will do the rest! This would be suitable for someone who has tried the test and not been successful. Perhaps would benefit from expert help and advice. This would be suitable for someone who has some knowledge, but requires expert help from our trainers. This would be suitable for a complete beginner or can be used as pre driver training starting at age 16. Please note that we cannot send confirmation of bookings until we receive a deposit for your course. The balance of your course fees must be paid 28 days prior to your course commencing. No refund will be made if courses are cancelled without 28 days notice. Any balances refunded will incur a 10% administration and handling charge.